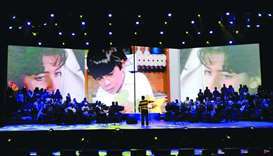 The strong historic and cultural ties between Qatar and Kuwait were relived at two sold-out concerts titled 'The 1980s Show' that concluded successfully on Friday at the Qatar National Convention Centre's (QNCC) Al Mayassa Theatre. 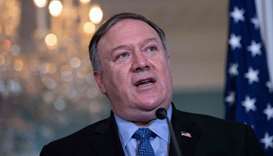 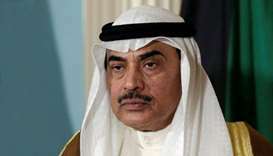 Qatar has embarked on a New Emerging Belt Initiative (NEBI) – a new economic corridor focusing Kuwait, Oman, India, Pakistan and Turkey with a combined economy of more than $2.1tn, as part of strategy to forge new alliances and connect businesses, while Iraq is expected to be included in the future. 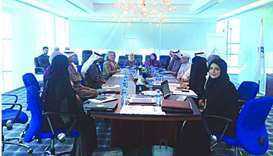 His Highness the Amir Sheikh Tamim bin Hamad al-Thani and Kuwaiti Sheikh Sabah al-Ahmad al-Jaber al-Sabah held official talks Monday morning at Bayan Palace. 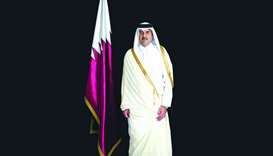 His Highness the Amir Sheikh Tamim bin Hamad Al-Thani arrived in Kuwait City on Monday morning on a one-day official visit to the sisterly State of Kuwait. 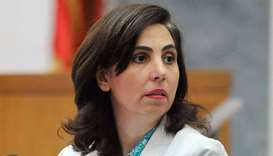 The UN Secretary-General Antonio Guterres announced the appointment of Rola Dashti of Kuwait as the next Executive Secretary of the United Nations Economic and Social Commission for Western Asia (ESCWA).